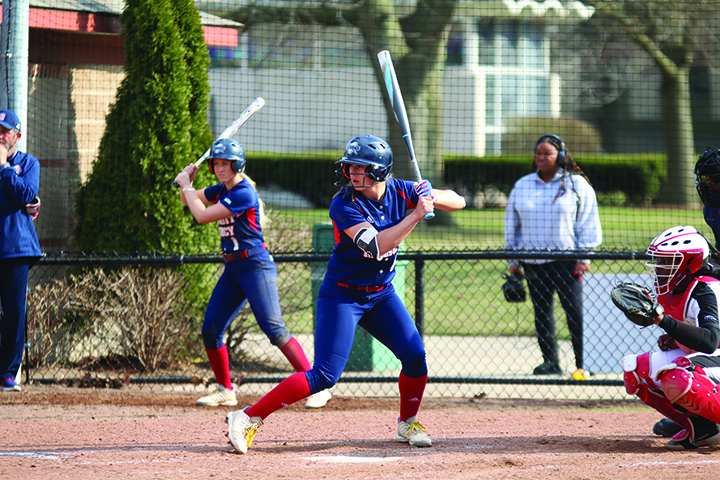 The women’s softball team is 7-5in conference play and 15-21 overall. After opening their conference season by sweeping the floor with the Wright State Raiders, they secured first place in the Horizon League. They also held down the home field by winning two out of three against their cross-town rivals, the Oakland Grizzlies. However, after losing three straight to UIC, the Titans dropped into fourth place. One of strengths of the Titans is their depth. They all come ready to play and step up when the time comes. Another is that they all have the same passion for the sport, meaning that they all want to improve each day and have a successful outcome at the end of the season. Something else that comes into play is that they have a great team dynamic. They’re close to each other on and off the field. The seniors – Courtney Gilbert, Jordan Manno, Sydney Pollock, Ashley Mauser, Kaitlyn Lambert and Kori Keys – have played a huge role in the successes so far. Junior Jennifer Lorenz plays third base. “They’ve really become strong leaders,” she said of the seniors. “Our seniors have been here for four years and work extremely hard to bring the team together and work on skills each day,” she said. The Titans are talented but don’t always maintain composure. One weakness is that they have this “switch” and sometimes they don’t turn it on when they step on the field. When that “switch” is on they can compete with the best of them. But when it’s off, it can make for a long game. There have been a few standout players this season. Manno and Gilbert are among the top hitters in the Horizon League. Both are among the top ten in several categories. Mauser and Liz Murphy have contributed on the mound, with Mauser breaking two school records so far this year.